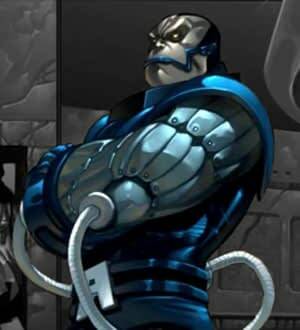 Back in the Spring, and after we’d had a chat around the release of Jack the Giant Slayer, Bryan Singer left me convinced that Apocalypse will be appearing in next year’s X-Men mega-tentpole Days of Future Past. I set about doing some digging, way back then, and have been asking around to see what I could find out at every opportune moment ever since. Certain things were slowly coming into focus, but nothing became really sharp until yesterday. Which was when 20th Century Fox announced X-Men: Apocalypse for release on May 27th 2016. This verified info that I’d been receiving but hadn’t quite confirmed as yet. It suggests that all of the attendant info was also correct. So, as of now, here’s how I believe it stands, based on intel from folk who’d been telling me an Apocalypse film would follow Days. I can’t find out who has signed or even who might have entered negotiations, but I do know who is on the shopping list and, in short, it’s everybody. Or, to be more precise, it’s a direct continuation, a next chapter that picks up the status quo at the end of Days and carries on developing it. This doesn’t mean there won’t be new characters. Several new characters. And that some old favourites will get much smaller roles. Because that’s all expected too. I believe that the basic plan is a pretty old one, at least in basic terms. I now wonder if the returning Days cast were in fact signed up for multiple pictures. That’s how long ago Singer had this basic idea in mind, in any case. Which isn’t to say he’ll direct the film. My hunch is that he will, but we’ll see. There’s likely to be an announcement on that before any other element of the production.